Whether you subscribe to the notion of the ‘product/market fit’, or user centred design, it is now commonly accepted that great products come from a great understanding of the consumer. The Atlantic may have brushed the recent product development at Barbie aside by terming it a “cultural change by way of capitalism”, but the forces behind that change point instead to product evolution by way of customer insight. What makes it interesting is how the insight that has safeguarded Barbie’s future came from the selfie not the c-suite. In 2014, Mattel’s sales had declined for the third consecutive year. While other toys like Lego and Frozen dolls were on the up, Barbie was stuck on the shelf. It seemed that kids (and to a larger extent, their parents) wanted a fantasy world that was truly imaginative and contemporary. As Frozen’s Elsa belted out, “Let it go, let it go. That perfect girl is gone”. And she was. Almost. In February 2014, A Fast Company journalist had a tough time speaking to Barbie’s VP of Design, Kim Culmone. When asked about Barbie’s proportions, all Culmone’s answers came from the company’s perspective, not the customer’s. 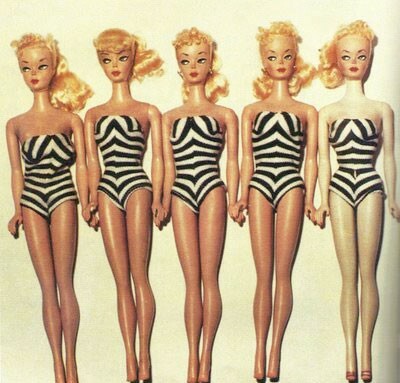 For example, on the subject of Barbie’s unrealistic silhouette, she weakly explained that the fabric had to be cut and sewn so as to fall properly on the body. When asked what could, possibly, cause a departure from the original shape, she said only a design or a functional “imperative”. It was a pet project of Culmone, however, that, I believe, lead to radical departure from the “original” Barbie shape and the introduction of petite, tall and curvy. Culmone started a style, fashion and travel Instagram for Barbie called @BarbieStyle that same year, and it clearly didn’t take her long to tap into the two-way street that social media affords brands. Like other companies did more purposefully, Culmone starting putting customers at the heart of the brand — in the soul of Barbie. Furthermore, like so many little girls before her, Culmone was living through the doll — imagining a world beyond her own, lives different to hers. Petite, tall, and curvy didn’t come out of a sales meeting, it came from building a following, having a conversation, and realising you’ll be loved and adored no matter what your size or shape.